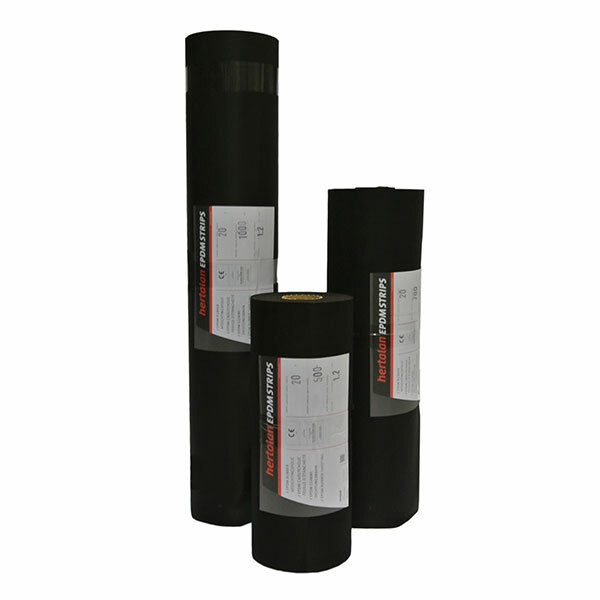 Our merchants stock the full range of CARLISLE® Hertalan waterproofing solutions with EPDM. 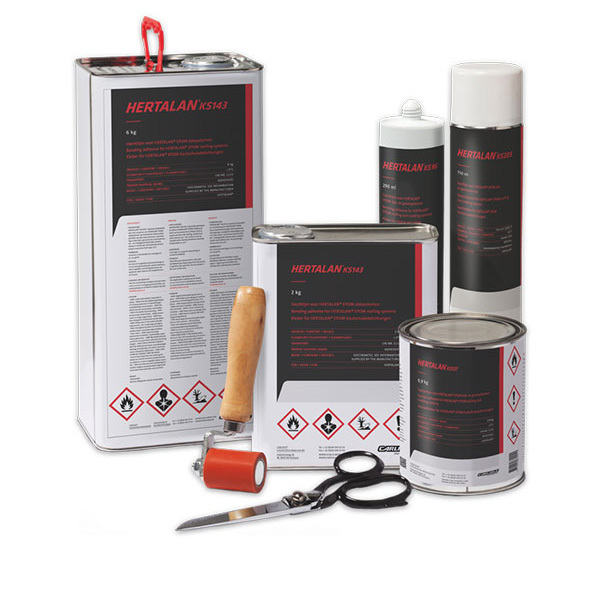 From small domestic repairs to commercial flat roofs, refurb and new builds, the Hertalan product range offers everything you need to get the job done. HERTALAN® EASY COVER is applied without any need for naked flames and is FLL tested and resistant to roots and UV rays. The system is suitable for any flat roof, regardless of whether it is loose-laid and ballasted, mechanically fixed or subjected to partial or full surface bonding. HERTALAN® EASY WELD is an EPDM system that is particularly suitable for the mechanically fixed roof waterproofing solution. In the edge area, the roofing membranes have UV resistant welding strips made of a thermoplastic elastomer, which are welded to one another using hot air during the application process. With HERTALAN® EPDM strips, we have developed a system that offers protection against moisture and can be used to waterproof any building. Hollow wall structures, doors and window frames can be quickly and efficiently protected against moisture penetration using this system. 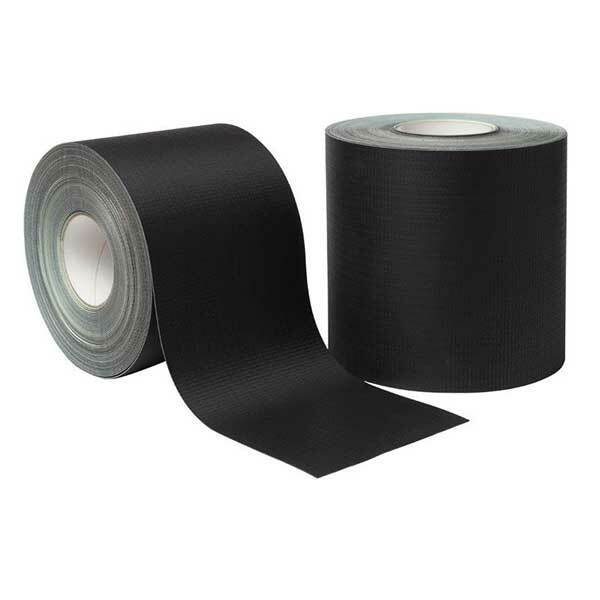 With HERTALAN® EPDM strips, you can benefit from quality, flexibility and comfort. 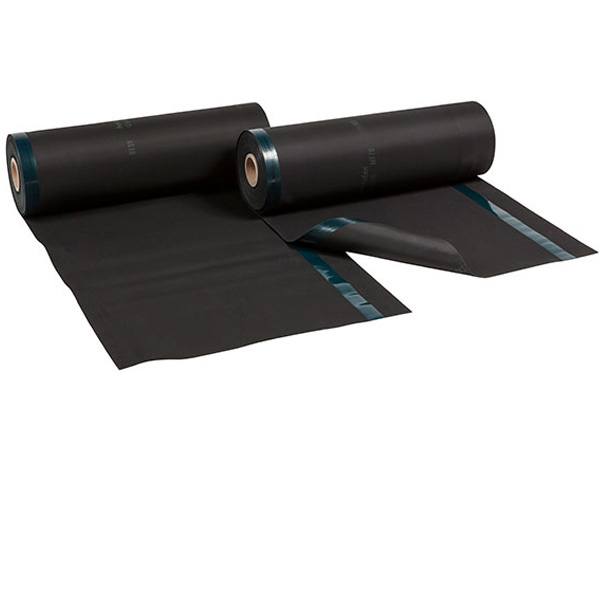 Thanks to the special adhesive systems and the EPDM lining’s textured surfaces, you can work on practically any substrate and create almost any connection. These properties make HERTALAN® EPDM strips the best solution for applications in hollow walls, around window frames and on curtain wall façades. HERTALAN® EASY STICK GS are self-adhesive, reinforced EPDM strips that are particularly suitable for waterproofing façade penetrations such as windows and doors. The underside consists of a high quality butyl layer with a separating film that is cut into the middle. The strip is available in standard widths of 100mm up to a maximum of 1000mm and in a length of 20m. Due to its total thickness of 1.3mm, the material can be very well adapted to the geometry of the different components. HERTALAN® provides a supplementary package of adhesives and sealants for optimum application of their EPDM roof systems. 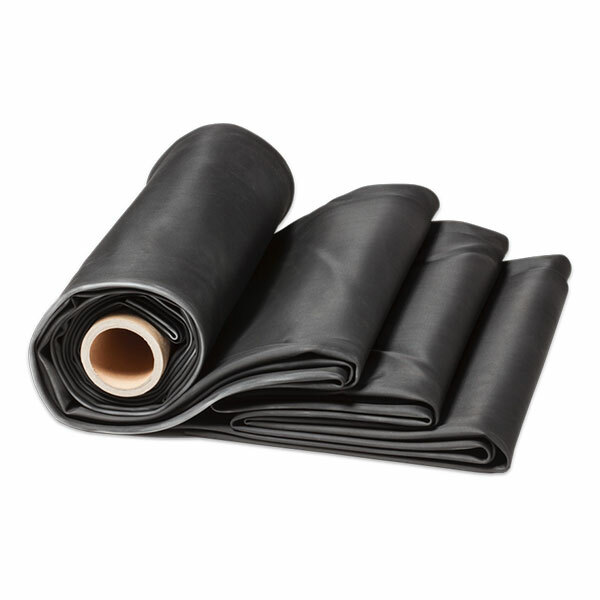 Their EPDM adhesives and sealants were developed specifically for the application of HERTALAN® EPDM waterproofing membranes and sheets. They guarantee that you will benefit from the decades of reliability their products are famous for. Their EPDM adhesives can be applied to many substrates and to every roof structure. HERTALAN® has a wide range of accessories and adhesives, where all the components are optimally coordinated to one another. With our extensive range, Roofbase offers you the perfect solution to overcome an extremely wide range of challenges encountered in roof waterproofing. 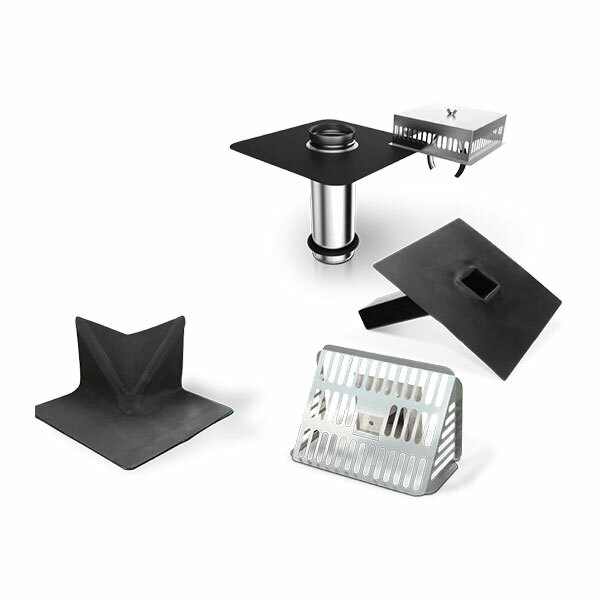 HERTALAN® drainage accessories can also provide the perfect addition to our range of extremely durable roof-sealing systems.